Ravi Shashtri Dating This Famous Bollywood Actress For Past Two Years ?? SHOCKING !! At a time when Bollywood and cricket fans cannot get enough of Virat Kohli and Anushka Sharma’s adorable photos , another romance is brewing between a Bollywood diva and a cricket coach. Buzz has it that Indian cricket team coach Ravi Shastri, 56, is bowled over by 36-year-old Airlift actress Nimrat Kaur. 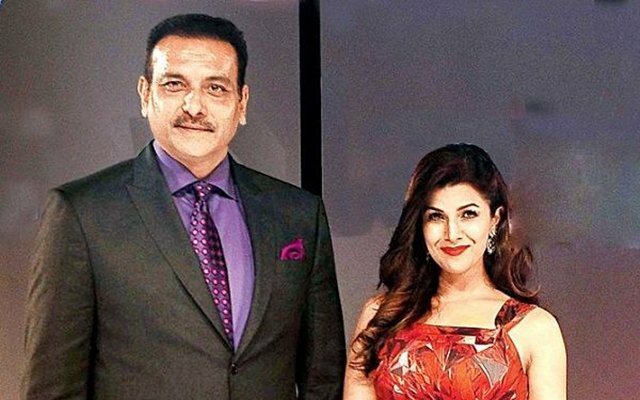 According to a report in Mumbai Mirror, Shastri, who is separated from his wife Ritu for a decade now, has fallen head-over-heels in love with Nimrat. The two have been dating discreetly for the last two years. Interestingly, the rumoured couple has been able to keep their relationship under the wraps all this while. While Nimrat is known to keep her private life under the wraps, Ravi Shastri dated another Bollywood actress, Amrita Singh back in the mid 80s. However, the two called it off later. On the work front, Nimrat has been filming a popular web-series. Shastri, on the other hand, is currently in the UK where the Indian team is playing a Test match against England. 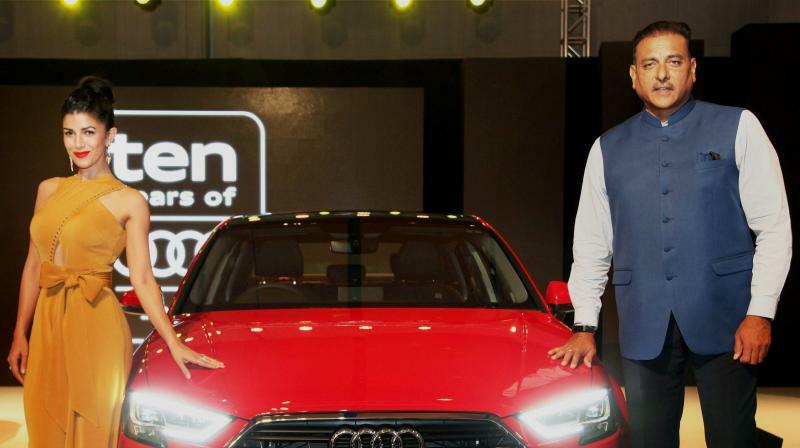 Ravi Shastri and Nimrat Kaur were also paired for automobile brand’s promotions. If this news is true, then we can’t wait for them to make it official. Ravi separated from his wife Ritu a year ago and it seems, he is trying to gel well with Nimrat now. What do you think guys? Is it a rumor or is this news authentic? Previous articleSurya Warned His Fans To Be Silent !! He Got Very Embarrassed !! Watch Video. Next articleFan Asked Rohit What Team He Would Prefer To Go Against Mumbai Indians !! Rohit Reply Was Just ROFL ! !